← Anabolic Heterogeneity Following Resistance Training: A Role for Circadian Rhythm? If intermittent fasting (IF) works for you, awesome. If not, don’t worry, you’re not missing out on much. The above study was a year long and showed no difference between IF and plain old just cutting out some junk food. IF group lost 8 kg, regular dieters lost 9 kg. 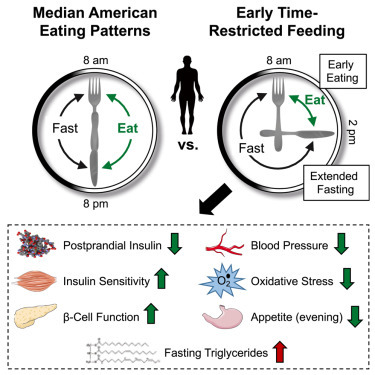 In this study, the IF protocol they employed was most similar to 5:2 wherein you eat normally for five days a week and consume minimal food on two non-consecutive days. LOOK AT THE DATA, PEOPLE.